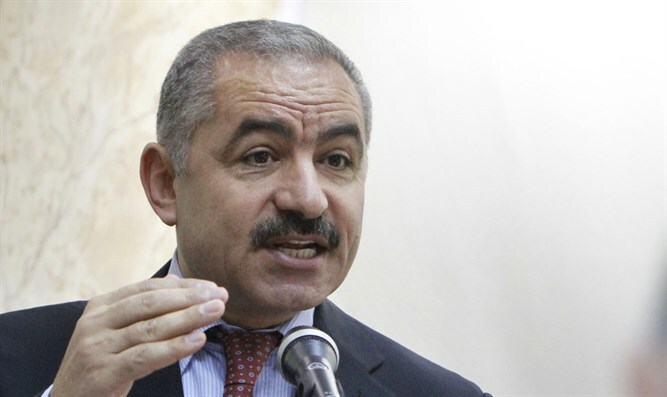 Mohammad Shtayyeh vows to act against Israel in order to allow for the "right of return". Mohammad Shtayyeh, the new Palestinian Authority (PA) cabinet leader, said on Sunday upon being appointed to the position by PA chairman Mahmoud Abbas that he would act "to establish an independent and sovereign Palestinian state with Jerusalem as its capital whose borders are the 1967 lines." Shtayyeh is a senior member of the Fatah party’s central committee and an ally of Abbas. His appointment as PA “prime minister” comes after the previous government, led by Rami Hamdallah, resigned at the end of January. While Hamdallah endorsed reconciliation between the PA and the Hamas terrorist group, senior Fatah leaders said the next PA coalition would work to isolate Hamas, amid the ongoing deadlock.